When all you want is smooth, glowing skin, blackheads can be a major source of frustration. These are clogged, open pores with dark spots that accentuate your pores and make them appear large. But have no fear – there are tried-and-true remedies for removing blackheads and shrinking pores down to size. Steaming is a great way to prep your skin for deep cleaning. 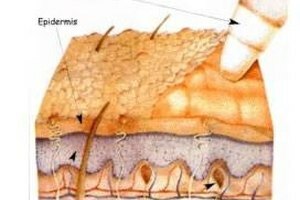 It opens up your pores and loosens excess oil and other impurities trapped inside. This spa treatment is easy and cheap, and it can be done right at home. Boil a large pot of water. Wearing oven mitts, remove the pot from the stove, and place it on a table or a counter. You can add herbs like chamomile, lavender or rosemary to soothe your skin and your senses if you like. Carefully place your face about one foot from the top of the pot, and place a towel over your head to trap the steam. Stay for five to 10 minutes, then dry skin with a clean towel. Apply a purifying facial mask or scrub, which should work even better now that your pores are opened up. You can try either of the following recipes. A simple egg white mask can tighten skin and shrink pores. Tie your hair back to keep it out of the way. Separate one egg yolk from the egg white. (Save the yolk maybe for a future aioli or crème brûlée recipe). Whisk the egg white until frothy. Using your fingers or a face mask brush, apply the egg white all over your face, avoiding the eye and mouth area. 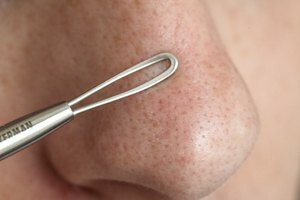 Pay a little extra attention to spots like your nose where blackheads are more prominent. Let the mask dry on your face for about 10 to 15 minutes, then rinse off with warm water. Pat your face dry with a clean washcloth or towel. Don't apply any other blackhead removal creams or cleansers for the rest of the day. 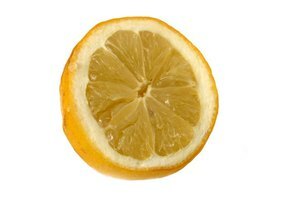 Vitamin C is an antioxidant that can help keep oil from oxidizing and darkening when it hits the skin's surface. 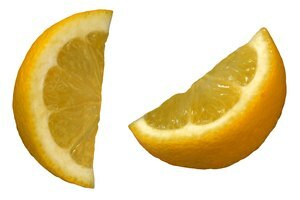 Here's how to make a simple citrus mask to prevent blackheads. Wash an orange and grate the peel into a small bowl. Add one tablespoon of jojoba oil to the peel, and whisk. Apply this mask over the affected areas of your skin, and leave it on for 15 minutes. Rinse with warm water, and pat your face dry with a clean towel or washcloth. It's best to use these masks on separate days. 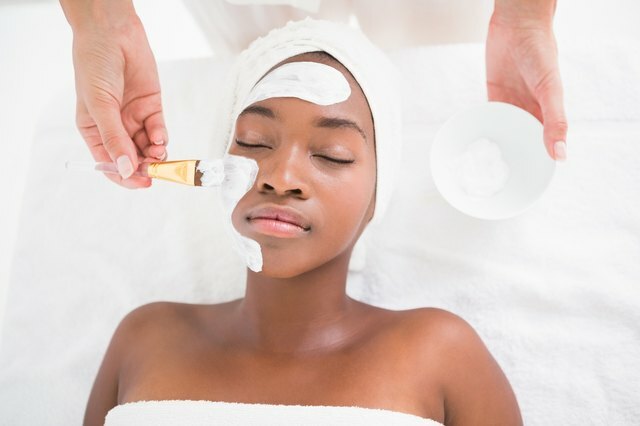 Purifying your skin too much with any product, whether it's a cleanser, mask or topical solution, can make skin dry and flaky; and dry skin triggers an increase in oil production, potentially leading to more blackheads. ELLE: Do I Need to Use a Facial Steamer?